I have good and bad news for you today. Let’s start with the bad news: to make this recipe you’ll most likely need to shop somewhere beyond your everyday supermarket. However! Now that we have that out of the way, the good news is that I will teach you how to make Ethiopian berbere that is genuinely authentic tasting. It’s easy to make, freezes well, and tastes like you’re eating at an Ethiopian restaurant. 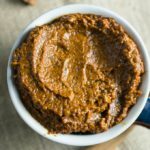 I took the time to learn how to make my own berbere paste because I’ve long adored Ethiopian food; but homemade versions seemed to always fall flat. Even berbere blends sold in stores didn’t quite have the flavor that I was looking for. They tasted like a delicious and slightly hot combination of warm spices, but there was definitely something missing. Eventually I learned that to get the flavor I’m looking for, the necessary spices include ajwain seeds (also known as carom) and nigella seeds (something you may have seen adorning naan). Although Ethiopian is an African cuisine, both of these spices are easy to find at any Indian market, or easily procured on Amazon or other online purveyors. I’ve successfully used a substitute for the New Mexico chile before, but berbere isn’t quite the same without the ajwain and nigella. (This reminds me of some of the homemade chana masala recipes I see floating around. While simpler versions can be delicious, if you want it to really taste like the restaurant version you’ve tried, you’ll need a few extras. If you want an authentic chana masala, Vegan Richa has you covered). It’s really the ingredients that are more of a hassle – the steps for this berbere recipe are pretty simple, if perhaps a little tedious. First things first, if starting from whole dried New Mexico chiles, they need to be ground into a powder. I remove the seeds, chop them and add them to my coffee grinder to pulverize them. Next, begin making the berbere paste by cooking down a mixture of garlic, onions, and ginger. Add whole spices until they’re roasted, then add some more ground spices, including New Mexico chili powder. Finally, add water, and a few basil leaves. Blend everything together until smooth. And that’s it! You are now empowered to make deliciously authentic tasting Ethiopian-inspired dishes using your own homemade berbere paste! Berbere is wonderful for seasoning just about any vegetarian dish, but (IMO) especially lentils. 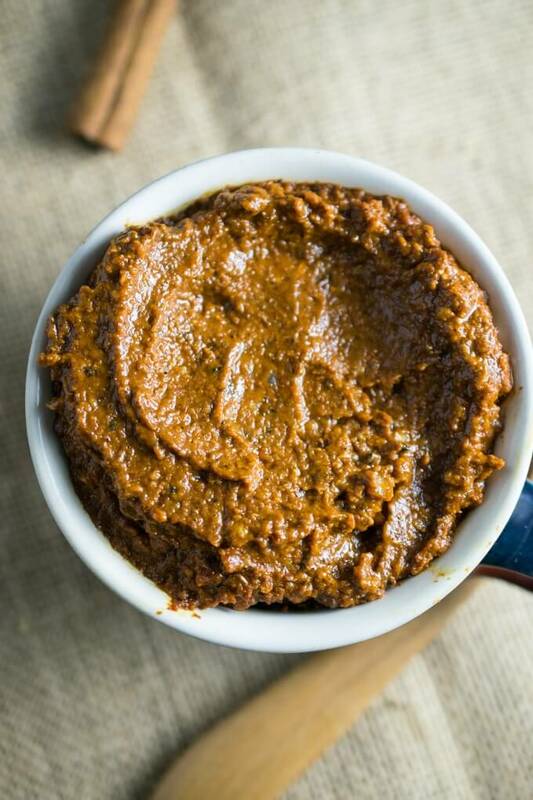 Make soups and stews with authentic Ethiopian flavors using this homemade berbere paste recipe! Berbere paste can also be substituted 1:1 by volume in recipes that call for ground berbere blend. Before starting to cook, measure out all of your spices into two groups: the whole spices and the ground spices (divided in the ingredients above). This will ensure that everything goes smoothly. In a saucepan over medium heat, add 1 tablespoon of oil along with the onion, garlic, ginger, and salt. Cook, stirring frequently, until the onion is softened and beginning to brown, 4 to 6 minutes. Add the remaining 1/2 tablespoon of oil along with all of the whole spices. Continue to cook over medium heat, stirring frequently, until the spices are beginning to become fragrant and toasted, about 2 minutes. Add the ground spices and continue to cook, stirring constantly, for about 60 seconds more or until the spices are aromatic and starting to stick. Immediately remove from the heat and transfer to a blender or food processor. Add the water and the basil if using, and blend until a smooth paste is formed. 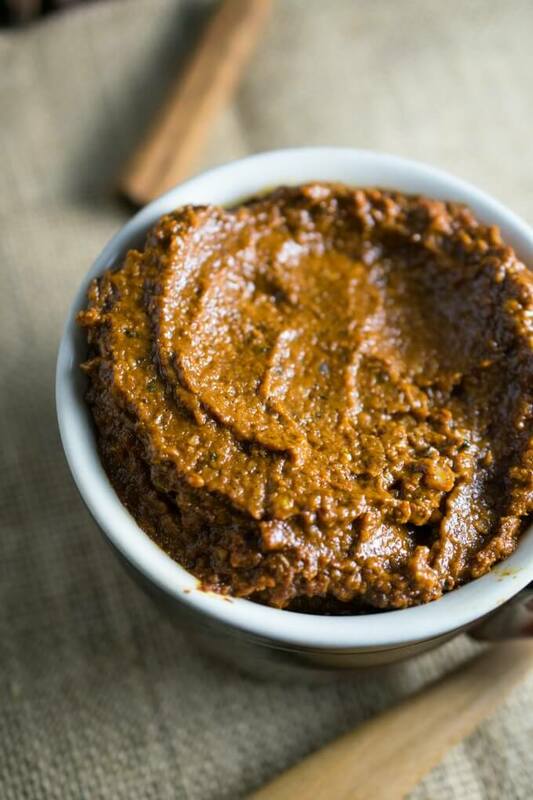 Once cooled, your berbere paste can be stored for 1 to 2 weeks in the fridge; it also freezes well. Use it in Ethiopian recipes, 1:1 for ground berbere. Or stir a tablespoon or two into legume or vegetable dishes to give them some flair. BERBERE AROMA: I recommend ventilating your kitchen while cooking this; the smell can linger for a little while otherwise. NEW MEXICO CHILE POWDER: If you cannot find NM chile powder, you can also: (1) grind whole New Mexico chiles into powder yourself, if available. Or (2) substitute 3 tbsp of paprika plus 1 tbsp of hot paprika, ancho chili powder, or cayenne. (All tested and yielded similar results). Adapted from the amazing Teff Love. That must have been a total brain fart on my part. There is no tomato paste in the recipe. I updated the post to remove that mistake. Enjoy! My favorite restaurant is Addis Red Sea in Boston. I worked above it for a few weeks and the smell was heavenly. It’s frustrating to make something and have it go bad because you can’t use that much in time. Since this is a paste instead of a powder, can it be frozen or refrigerated? How long will it remain edible? Great question! In my experience this has stayed good in the fridge for over a week but less than 2. It freezes very well. I recommend dividing it into tablespoon-sized portions before freezing you can thaw the exact amount that you need.